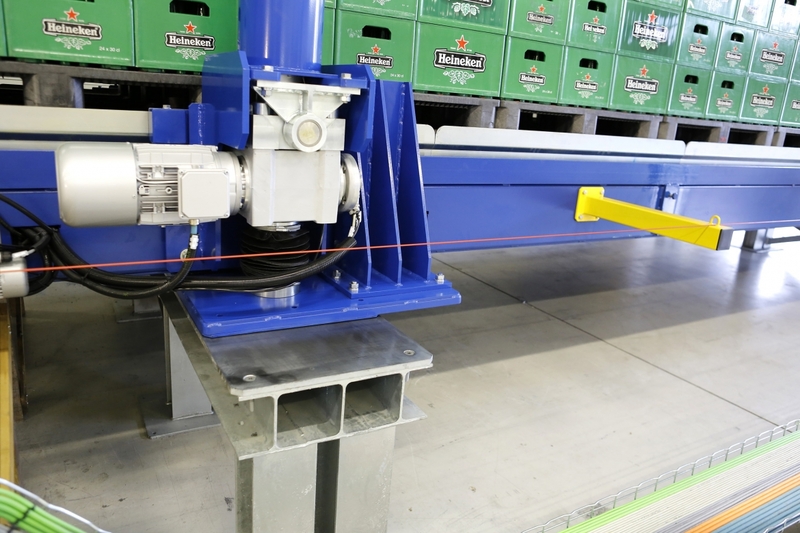 The Skateloader has been developed and engineered for the automated loading of non-modified trailers. 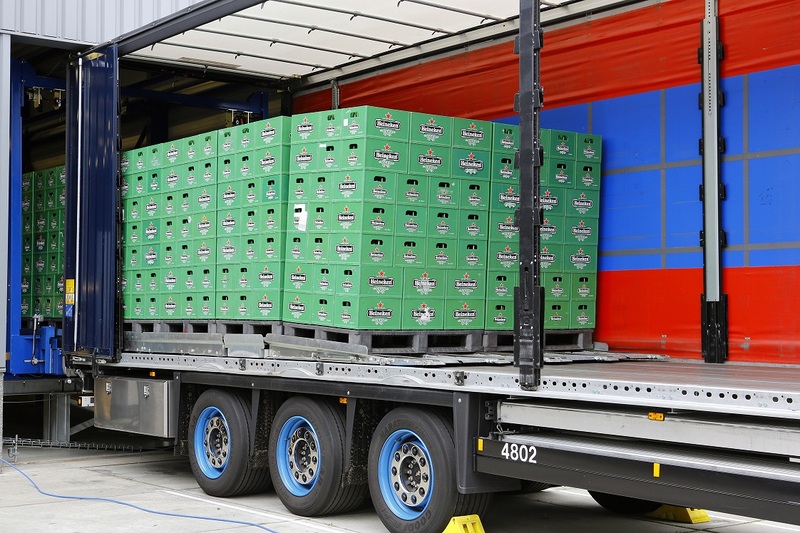 This means that no trailer modifications are required and therefore the Skateloader is the ultimate solution for one-shot loading of standard pallets for outbound transport. Like the shuttle system, the Skateloader system loads the entire load in one shot and it requires the use of standard pallets. The loading process takes approximately 6-8 minutes (depending on the required height adjustment and alignment). As there is no corresponding system in the trailer, the Skateloader has two special functionalities for loading. 1) It is equipped with a scanning system controlled by dedicated software to ensure the correct alignment of the loading system with the trailer. 2) The Skateloader is thus able to follow the trailer’s height which changes continuously due to the air suspension, thus ensuring a flawless loading process. 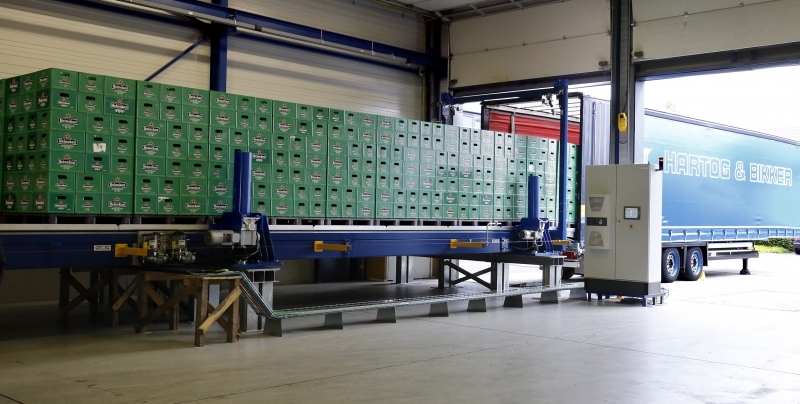 The system deposits the pallets on the floor of the trailer in a controlled way, without any friction to the pallets and its cargo. 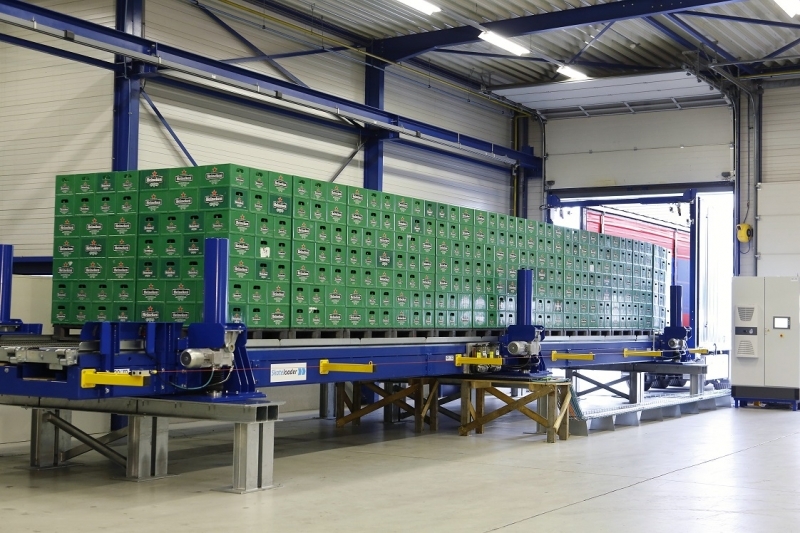 The Skateloader can be seamlessly integrated into any automated production or warehouse system. It can easily be applied at existing sites, the floor area required is similar to that of shuttle systems. • Practise results increasing efficiency with 400% (compared to traditional forklift truck loading)!